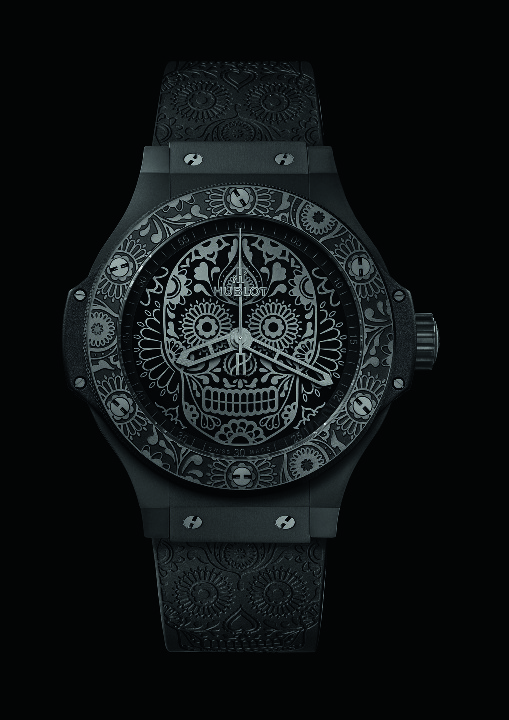 Honoring the traditional Mexican celebration of the Day of the Dead, Hublot has released the Big Bang Cavaleros (Skull). El Día de Muertos is an ancient Aztec tradition wherein families gather to celebrate and remember their departed. Small altars (ofrendas)are decorated with a plethora of food and drink to be enjoyed by the spirits of the dead who return for the celebration. Far from being a morbid remembrance, the day is in fact a time for reflection and celebration of the lives that were shared and those that are to come. The holiday was recognized as a UNESCO world cultural heritage event in 2008. Hublot has commemorated this holiday with the Big Bang Sugar Skull Collection featuring a dial embroidered with the traditional cavaleros. 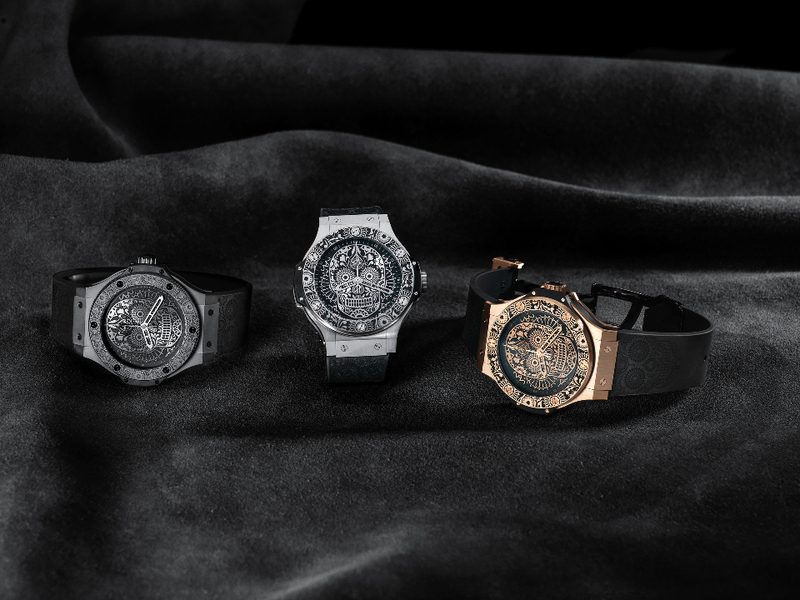 With the start of the 10th annual SIAR Mexico, Hublot now presents the BB Cavaleros Limited Edition. 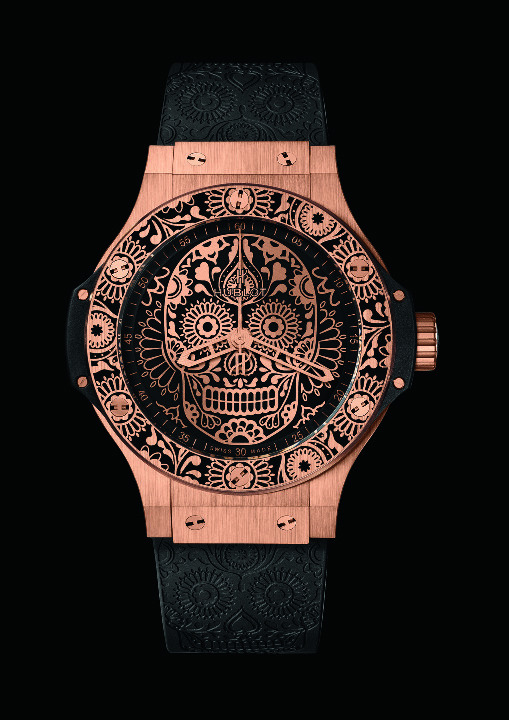 This time, the skull is engraved into the dial while the floral and carved motifs are carried onto the bezel and stamped upon the bracelet. Previous Topic: Ignored Gold Mine---Watchmakers losing millions. Disgusting!!!! Next Topic: BB Unico Golf, a "Stroke of Genius"